The M Programmes - Kids TV - Classic programmes from yesteryear. 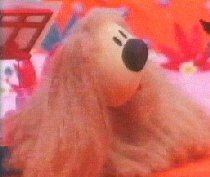 The Magic Roundabout : Renowned nowadays for it's drug references. My favourite character was Dougal, he was just so laid back. Other characters included Florence, Dylan the rabbit, Bryan the Snail,Ermentrude, Zebedie (sp? ), Rosalie, Paul, Basil, Mr Rusty and Mr McHenry. Manimal : Simon McCorkindale could change into any animal at will (usually a Black Panther). Marine Boy : Japanease cartoon from the early 70's (making it one of the first shown in the UK) about a boy that could swim underwater but could breathe using his special chewing gum. Mary, Mungo and Midge: Animation in the style of 'Crystal Tipps and Alestair' about a girl (Mary), a dog (Mungo) and a mouse (Midge) who lived in a block of flats. .
Midge played the flute and Mungo would always say "Make sure the lift door is shut" after using the lift. Mole and Hedge : Staring our favorite - Christopher Lillycrap. Mo ("Oooh Oooh") and Hedge ("Urgh Urgh"), a theatre in a tent and the roll the ball game. COME IN, SIT DOWN, AND LISTEN TO A STORY. Moomins : Hippo-like creatures that lived in a strange world, based on a series of books by author Tove Jansson. One book, was Moominland, Midwinter very spooky and melancholy! A bit of Moomin info:Moomins apparently woodland creatures living in Finland. The current "top band" in Russia are "Moomentroll" who took their name from the Moomins. Mooncat: First aired on April 9,1981. It's original title was called "Get Up and Go!" Beryl Reid did co-present it (or was probally a regular guest on it). It changed it's name to Mooncat in June 1984 and stared Stephen Boxer (previously thought to be Raplph McTell). The programme lasted untill September 26, 1985, where the following week it was replaced by "Puddle Lane". Mooncat then became Mooncat and Co.
Moshchops : A dinosaur that had to look after a flower. Was friendly with Mr Icthus and lots of other dinosaurs. The flower used to sing quite a lot too. Mr Benn : No, not Rowen Atkinson. This bloke was very smartly dressed (bowler hat and everything). For some reason he always went into the fancy dress shop (demanding wife?) went in one door to get changed and would go out the other door into a great adventure. On returning home he would always find a momento of his visit in his pocket. Roy Brooks (later of Big Deal and many advert voice overs) did the voices and Don Warren provided the music. Sound Clip - "As If By Magic"
Mr Men : Written by Roger Hargreaves these were small blokes (to be followed later by Little Misses) who represented some emotion (Happy, Grumpy et all), physical deformaty (Mr Tall, Mr Strong) or state of mind (Mr Bump, Mr Clumsy). At least one drawing would have a worm with a smiley face in it. All the other characters in the stories were human though, very confusing for a youngster! Mr Rossi : An Italian cartoon translated into English. Various adventures, one of which was "Mr Rossi's Vacation". Rossi takes his dog Harold on a trip and they all sorts of things like the Island of the Singing Fish. Mr Trimble : Lunchtime fun with the owner of an antique shop. The old owner of the shop was joined by a puppet parrott. More info on this please! Mumfie : A magical elephant. DOWN IN PINETREE FOREST,A STAR YOU ARE MUMFIE. SCARECROW WILL LOOK AFTER YOU AND ME-E-E MUMFIE. Muppet Babies : Cartoon adventures of the Muppets as, er, babies. The funnies is beaker who ran around deranged when he was young as well. The only thing missing is a middle aged Statler and Wladorf. Skeeter was involved in this and Muppets tonight but not the Original Muppet Show! The Muppet Show:: Too many good things in this to mention. Pigs in Space and the hospital were personal favourites but Statler and Waldorf were just brilliant. The show was meant to return to the BBC in 2003 but if it did, I didn't see it. IT'S TIME TO MEET THE MUPPETS ON THE MOST SENSATIONAL, INSPIRATIONAL, CELEBRATIONAL, THIS IS WHAT WE CALL THE MUPPET SHOOOOOOOW. Sound Clips - Statler and Waldorf - The Sweedish Chef - Muppet News Flash! 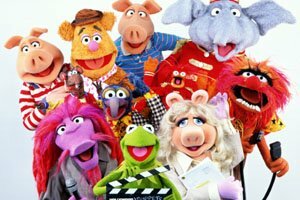 Muppets Tonight : Modern day version which featured most of the old characters and lots of new including Seymour and Pepe, Randy and Andy pig and the fantastic "Hogwatch", hubba, hubba, hubba. Mysterious Cities Of Gold: An Excellent French/Japanese Anime series spread over a massive 39 parts. Follows Three children, Esteban, Zia and Tao as they travel across South America with three Spaniards in search of the Legendary Cities of Gold. There's a LOT more to the plot than this, and features absolutely fantastic animation and music. Everybody remembers that theme tune, and the most remembered image is surely of the Great Golden Condor flying so gracefully across the sky!